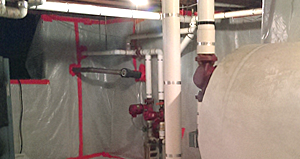 Talevi Enterprises deals specifically with a safe, cost-effective, and common-sense approach to Asbestos. We conduct a proper investigation in how to handle each project’s situation, as well as considering the future impact of the process. 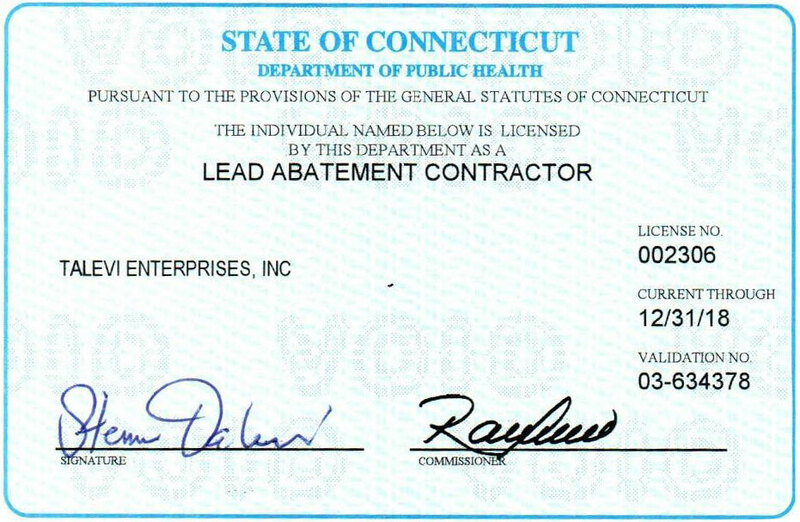 Talevi Enterprises is also EPA Certified and State of CT licensed for lead removal. We utilize modern removal methods, and with extensive experience and proper equipment, we deliver cost-effective and safe removal techniques for every situation. 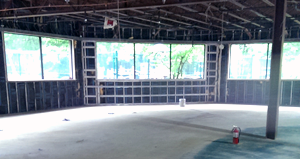 Talevi Enterprises can safely and economically complete the selective demolition necessary for a project. We can perform selective demolition for all types of facilities including manufacturing, office, housing, public buildings, & schools. 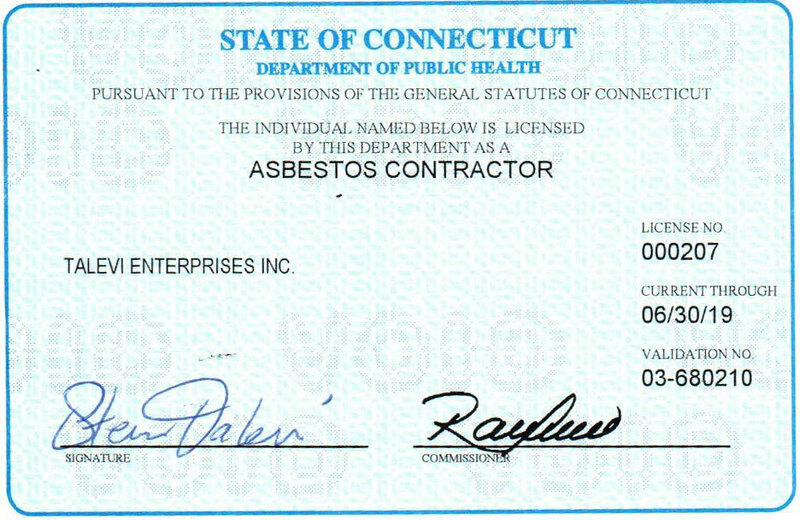 Talevi Enterprises has over 40 years of contracting experience, with more than 34 years dealing specifically with Asbestos. 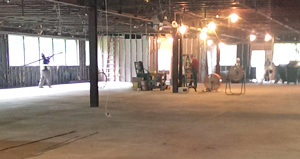 With thousands of completed projects including schools, state and federal buildings, office and manufacturing buildings, hospitals, and homes, our experience SAVES YOU MONEY!